Kauai is the oldest island in Hawaii and is a twenty minute flight from Honolulu. The tropical paradise was formed six million years ago and encompasses 550 miles with a population of approximately 60 000 people. Kauai lies in the azure blue waters of the Pacific Ocean and is the northernmost of the main Hawaiian Islands. Appropriately nicknamed the Garden Isle, it is renowned for its flourishing greenery and post card perfect beauty. Kauai’s magnificence is exceptionally significant that it has been an ideal setting for several Hollywood Productions including Jurassic Park. With verdant rainforests, angelic white sand kissing the sapphire ocean, breathtaking waterfalls, spectacular desert land and majestic mountains all under the same gypsy sun - the island boasts all of Mother Nature’s glorious spectrum. Enjoy not only the natural surroundings, but the island’s vibrant range of cultures, attractions, activities, sports, shopping and dining. A visit to Kauai will exceed any dreams you have had about the perfect holiday destination. It offers all you need and beyond to experience a relaxing and enriching vacation that you will never forget. With a wide range of accommodation, you will easily be able to find the ultimate place for you to stay. Aloha – welcome to the closest thing to heaven and we invite you to come discover it, right here in Kauai, Hawaii. If there's something that makes Kauai unique, it's the fact that everything Hawaiian can be found in the islands. From its rich history, geology, culture, and sights, you can get a full view of what Hawaii is all about in Kauai. If you're asking for scenic beaches, Kauai has those. If you want wildlife and nature, Kauai has those aplenty. If you're looking for culture and history, Kauai is the best place to be. Whether it's for weddings, romantic getaways, seclusion, and memorable stays, just let Kauai take care of you. Want to give your swing a try? Golf courses are something that Kauai has a lot of. Everything that Hawaii stands for, is famous for, and is loved for, can be found in Kauai. Now if you're still asking what makes Kauai special, the next thing you need to do is to visit Kauai and see for yourself how Kauai stands for all things essentially Hawaiian. When it comes to Hawaii, nothing can beat the Kauai among the islands of Hawaii. Kauai is the point where the first settlers of Hawaii landed ashore, and one can even claim that Kauai is the foundation on which the Hawaiian nation and culture was built on. With artifacts as early as 200 AD being found on the island, when it comes to seniority in terms of being populated, Kauai brings home the trophy. You can call Kauai the cradle of the Hawaiian civilization. And not only that, Kauai is also rich in folklores and songs about the Menehune, the theoretical Marquesans who were believed to be the first settlers of Kauai. And how do you think Hawaii was discovered by Europeans? Of course, it was through Kauai. James Cook landed on the shores of Kauai, and it was from the Kauai Island that Hawaii became known to the rest of the world. And from this initial contact, the influx of western influence was started, drastically changing the face and destiny of the natives of Hawaii. Aside from the countless deaths caused by the diseases brought by western ships and their navigators, the arrival of the Europeans also signaled for the radical change in the Hawaiian belief system, from their native Tahitian religions to the Christian religion that the western missionaries brought to the Kauaian shores. But before those things occurred, it was Kauai that formed the last obstacle to the unification of Hawaii under a single rule. But through negotiations, a peaceful surrender was made by the ruler of Kauai to Kamehameha I, indirectly contributing to the establishment of the first unified nation of Hawaii, the Kingdom of Hawaii. In terms of culture, you're sure to find a lot of it in Kauai. As you know, history and culture go together, and with the rich history of Kauai, you can also find culture in abundance. From the artifacts and temples that the ancient Hawaiians left, to the plantations, museums, churches, and lighthouses that the western influence has brought to Hawaii, you can find them all in Kauai. Whether it's ancient, contemporary, or modern culture, Kauai stands as one of the chief cultural centers of the state. Aside from historic influences, you can also find several art galleries and artist colonies in Kauai. These colonies and art centers preserve the rich cultural tradition of Hawaii. Whether it's visual art, music, or the performing arts, you should find that Kauai has those in abundance. Aside from the museums, you can also find state national parks that give information about the ancient culture of Hawaii, especially the Polihale State Park and the Prince Kuhio Park where you can get a first-hand experience of Hawaiian culture. Aside from that, you also get to know some of the local folklores and legends surrounding Kauai by visiting historic places and landmarks in this island. Another thing that stands out in Kauai is the plantations that brought economic prosperity to the island. The first plantation industry in Kauai was that of sugar, and it was highly successful, with the industry lasting for many decades. Due to the capitalistic tendencies of the foreign settlers, the rich, fertile land of Kauai was utilized to create sugar plantations that put Kauai and Hawaii in the economic map of the world. Even until today, you can still see sugar plantations in Kauai and the remnants of the railroads and mills of the sugar plantations of the previous century. Another thing that is unique to Kauai is being the melting pot of several cultures from different nations. As the previous endemic of western diseases reduced the number of native Hawaiians significantly, along with the increased demand for labor in the plantations, a need for extra labor surfaced. Because of this, the influx of immigrants in Hawaii was initiated. The plantations called forth laborers and workers from different nations, such as Japan, China, Philippines, Puerto Rico, and Portugal. The result is the mixed race make-up of the present population of modern Hawaii. You can also now find that these laborers brought with them their own cultures and integrated them with Hawaii's native one. As such, the culture of Hawaii and its islands was further enriched due to the contribution of these modern immigrants. Next to the sugar plantations are the pineapple plantations. Pineapple canning and plantations gained success, but not of the same magnitude as the sugar plantations did. The pineapple plantations in Kauai experienced about half a century of prosperity before closing shop in the 1960s. The previous canning factories and plantations now are the sites of resorts and other tourism businesses. And that brings us to one of the main industries in Kauai, which is tourism. As mentioned earlier, the appeal of Kauai is that it has all things essentially Hawaiian, thus becoming a top tourist spot in Hawaii. Offering all the rich culture, history, and natural resources of Hawaii in a single island, Kauai is the place to go when one wants to know the Hawaiian spirit. 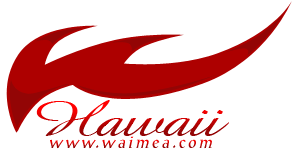 At present, the tourism industry accounts for a significant percentage of the revenue of the County of Kauai. This presented the county of Kauai with plenty of jobs, and revenues and opportunities for small and large businesses. Another feature of Kauai that makes it unique is the natural beauty of its surroundings and the rich plant and animal life that it hosts on its island. The valleys, crags, mountains, and canyons in Kauai present some of the most majestic views in Hawaii. Of course, you have the dozens of beaches that line the shores of Kauai. From the white beaches of Salt Pond Beach to the golden-brown sands of the Royal Coconut Coast, Kauai has a lot of beautiful and scenic beaches to offer. These beaches also serve as venues for all kinds of water activities and entertainment; you can go snorkeling, scuba diving, surfing, body boarding, and swimming in the pristine waters of this tropical island. Aside from that, these beaches also form a great part of the views in the championship level golf courses that Kauai has. The Kauai Lagoons Golf Club and Princeville Golf Course are golf courses that have held PGA Tournaments in the past, and are well-rated for their challenge, great design, and spectacular views of the Pacific coast and the lush vegetation of the tropical rainforests, and the towering mountains of inland Kauai. You can find Waimea Canyon in Kauai. Waimea Canyon is one deep, large, and panoramic view of the Kauai landscape. Because of the grand view that it provides, the Waimea Canyon has also been called the Grand Canyon of the Pacific. You can also find several valleys and waterfalls in Kauai. The most noted of the valleys is the one in Wailua, where Hawaiian nobility go to when giving birth to their offspring, with the belief that this valley provides the blessings of the gods. As for waterfalls, you can look for the Kipu Falls, Wailua Falls, and the Opaeka'a Falls for a great photo opportunity. As for animal and plant life, you can find several migratory and native birds along the East and Na Pali Coast, as well as an abundance of marine life such as humpback whales, dolphins, and monk seals on the island's south and west coasts. There are also several state natural parks in the island to give you a guided tour of the natural surroundings, and be informed of the conservation efforts that are made towards the preservation of local wildlife. As Hawaii is also called the Endangered Species Capital of the World, you can get a lot of information about how endangered species are protected and preserved from extinction. This also makes Kauai a great family vacation destination and a good venue for children to learn about the importance of nature and the protection of natural wildlife. All of these things are what make Kauai one of the exceptional islands in Hawaii, and perhaps the world. Its great combination of natural beauty, wildlife, and rich history and culture results to something that can only be found in Kauai.